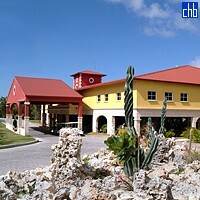 Located on Yuraguanal beach, on the north coast of Holguín province, the all inclusive Hotel Memories Holguín Beach Resort lies amongst luxuriant vegetation & virgin beaches which are among the most beautiful in the Atlantic ocean and were described by Christopher Columbus himself as “the eyes of the most beautiful country that man has ever seen”. At only 500m from Roca Azul Ecological Park, Playa Yuraguanal is more reserved than the more famous resorts of Playa Pesquero (5 km) and Playa Guardalavaca (20 km). This impressive and charming all inclusive resort harmonizes perfectly with the natural environment and the private beach is ideal for relaxing and for a gentle stroll, while if you want more action, there is a great range of things to enjoy, including kayaks, pedaloes, sailing, snorkelling, windsurfing aerobics, aquarobics, archery, tennis, pool table, and much more! 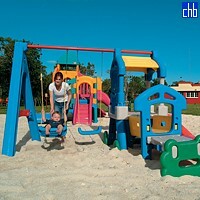 Kids will love having their own club, pools and playground while adults can chill out by one of the five pools. 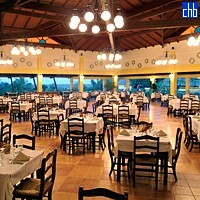 Memories Holguín offers a main buffet restaurant and 4 choices of themed à la carte restaurants, Italian, Cuban, Romantic and seafood, which require reservation. National and international snacks and drinks and cocktails are served for 24hr at the 4 bars. The hotel’s main guest rooms are decorated with vibrant, tropical colours and feature signature Memories amenities to ensure the height of comfort and style. 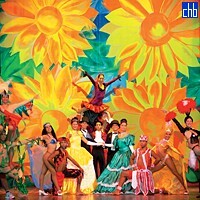 Guests of all ages will delight in the abundance of daytime activities and evening entertainment, which usually include live music, Spanish lessons and pool and beach games. 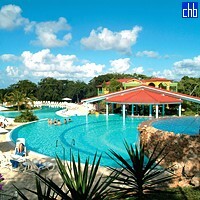 Memories Holguín Beach Resort is the perfect place for families, couples and singles, complete with affordable accommodations with fantastic amenities. 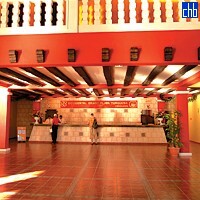 Until recently the Hotel Memories Holguín Beach Resort was know as Hotel Riu Playa Turquesa & before that as Hotel Sirenis Playa Turquesa & Occidental Grand Playa Turquesa. 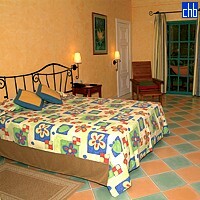 Standard Rooms at Memories Holguin are spacious comfortable and nicely decorated. 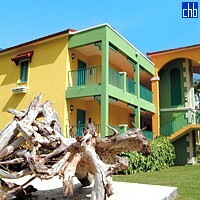 They offer twin beds, one sofa bed, a bathroom with shower and views on the resort's gardens. In addition to the Standard Rooms, Suites at Memories Holguin are more spacious and offer a separate living room with sofa and its own guest bathroom. Suites have a King Size bed.